Two of the most popular tours in Alaska. 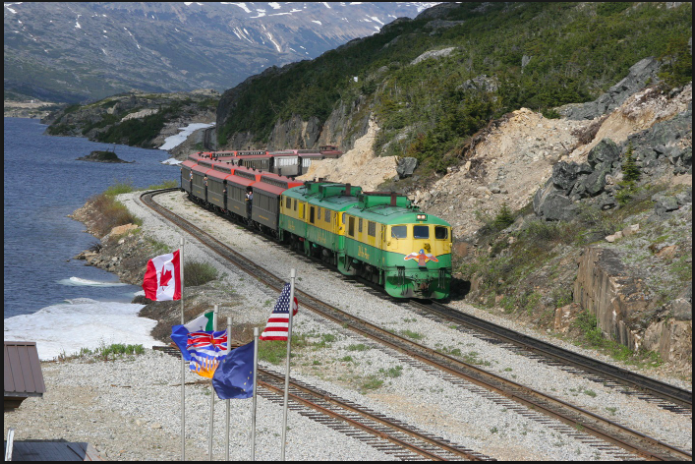 While in Skagway you wil take the world famous White Pass and Yukon Route Train and Bus Combination Tour. 2 hr train ride to Fraser B.C. with a 45 minute motorcoach transfer back to Skagway. Enjoy both sides of the valley with this unforgettable experience. While in Juneau Whale Watching is a must. Garunteed Whale sightings or your money back. Just over 2 hours on the water and 3 hours total on the tour with transportation to and from the cruise ship.